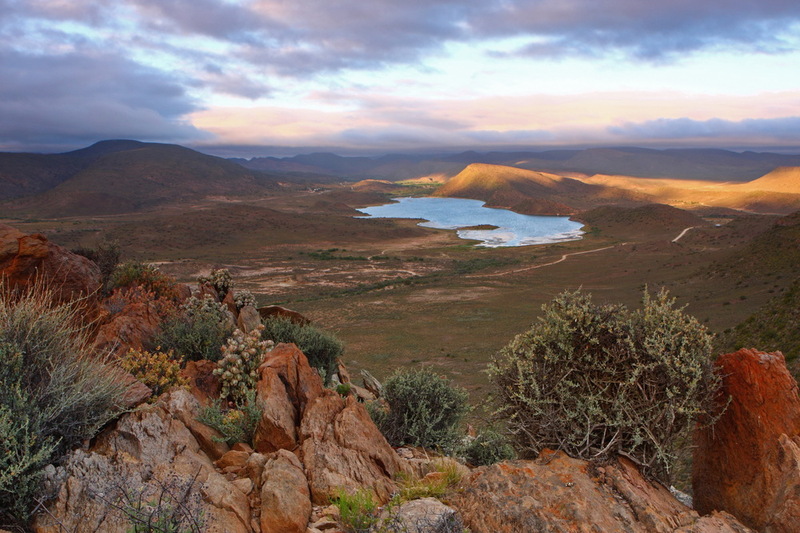 One of the most spectacular wonders to be seen in the Karoo is the night sky and Sanbona Wildlife Reserve is the ideal location to experience it. Free from light pollution, it offers some of the finest stargazing in Southern Africa and is an ideal activity for all guests to enjoy. In summer, Orion takes pride of place alongside Taurus the bull and Pleiades, the 7 sisters, but as winter comes around, one can witness Scorpius, with the red giant star Antares at its heart and the distinctive Southern Cross. These are just a few of the awe inspiring constellations on show. For inexperienced or professional astronomers, sit back and enjoy the large and small Magellanic Clouds, which are neighbouring dwarf galaxies, or the deep space features that can be viewed with the telescopes provided at each lodge, such as the Orion and Carina Nebulas and not forgetting Tuc47, a brilliant star cluster. Star gazing is done at the lodges and can also be incorporated on night drives, although the winter months may be colder, they offer even better viewing as heat and dust are greatly reduced in the atmosphere, offering a clearer sky. Should guests be fortunate enough to stay at Sanbona during a celestial event such as meteor shower, the Sanbona experience will be made extra special. On a hilltop outside the Karoo hamlet of Sutherland, the Southern African Large Telescope (SALT) focuses its giant African eye on our universe. Even quasars can be picked up by the Southern African Large Telescope. The reason the Southern African Large Telescope (SALT) was erected outside the town of Sutherland, some 370km from Cape Town, is because it is one of a handful of locations in the world that is ideal for stargazing. Its remoteness, elevation (2 000 metres above sea level), the cold and the absence of light pollution, ensure clear, cloudless skies essential for research. Tourists who visit SALT during the day can book a guided tour of the interpretive visitor centre and a selection of the research telescopes, including SALT, located on an elevated plateau overlooking a vast expanse of the Karoo. And while the SALT facility is closed to the public at night, visitors can experience the thrill of astronomy by booking a stargazing session at the visitor centre where two dedicated visitor telescopes, a 16″ Meade and 14″ Celestron, are located. Nobody is allowed to drive up to the dome facilities on the plateau at night as astronomy research is light sensitive and that's when local and international scientists are at work. The stargazing session lasts about 90 minutes, but may be cancelled due to inclement weather conditions. Booking is essential. SALT is an extraordinary international collaboration and has put South Africa at the forefront of 21st century scientific exploration. Such is its magnification that it can see the light of a candle on the moon. One of the first light images taken by SALT was of 47 Tucanae, an ancient cluster of several million stars about 15 000 light-years from earth. The stars are 10 to 12 billion years old and among the oldest stars in our Milky Way galaxy, which makes them the perfect laboratory for the study of the life, birth, and death of stars. Astrophysicists are currently unable to explain about 96% of the universe, notably dark matter and dark energy, and they believe images and information gathered from SALT may trigger a revolution more dramatic than the leap from Newtonian to quantum physics. SALT will assist them to look deeper and more clearly into the dark heart of time and tackle unsolved questions about the universe and our place in it. This means giant leaps for not just those who make it to Mars, but for the whole of humankind. To find out more on the star gazing in the Karoo please contact us for more information.